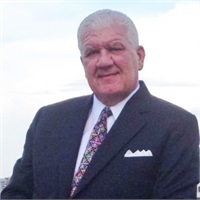 Mr. Dittmar (Jim) is an accomplished Financial Services Professional possessing 37 years of executive management and financial sales experience. He has been a consistent performer as it relates to both personal production and core organizational growth. He possesses comprehensive skill sets in needs analysis, implementation and the administration of financial and insurance instruments to individuals, corporations, federal government employees and 403(b) / 501(c) employees. Jim was introduced to the Financial Services Industry when he was appointed as a Representative with Mutual of New York (MONY) in 1981. His career evolved from a field underwriter to a MONY Agency Manager. In 1989 Jim was appointed as the VP of Operations and Marketing to MONY Brokerage Inc.
Jim has held positions as an Agency Manager, Director of Talent Acquisition and Financial Services Professional with several Prestigious Financial Industry Companies, MassMutual, New York Life, MetLife and John Hancock. Jim remains as the Founder and Principal Partner of Government Financial Partners established 2015, and Dittmar-Brock Financial Associates, Inc. established 1992. He is a former University of Miami Hurricane Letterman and Offensive Lineman. Jim is the Regional Manager of VRSI's North Region. VRSI specializes in retirement planning for educators. We want to earn the right, over time, to be considered by you as your retirement planning professional. As you search our site, send me a note regarding any questions you may have about any particular concepts or products. I will get back to you quickly with a thoughtful answer. Feel free to contact me for more information. My contact information is above.